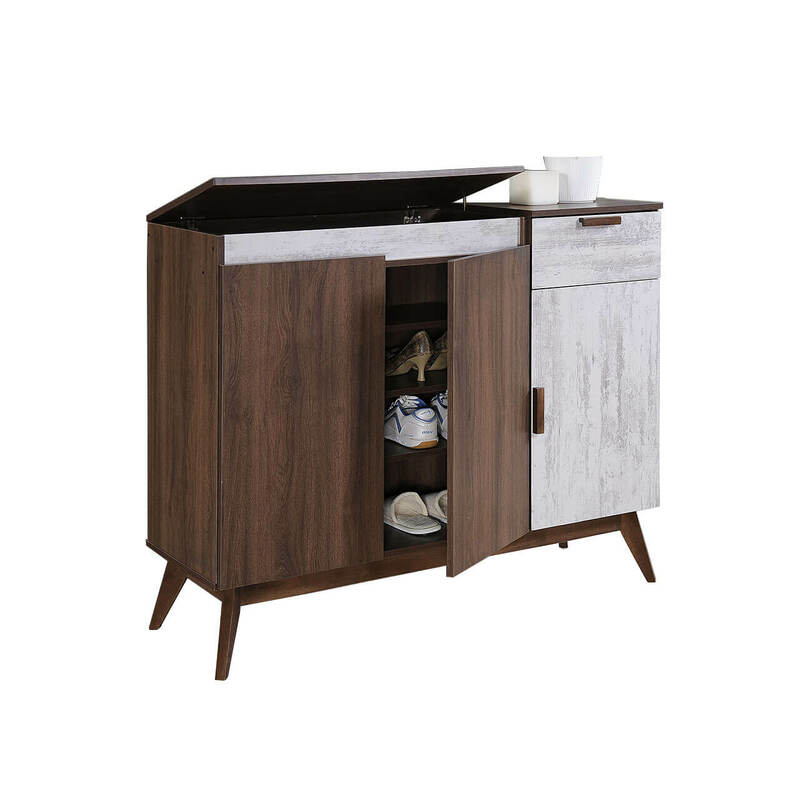 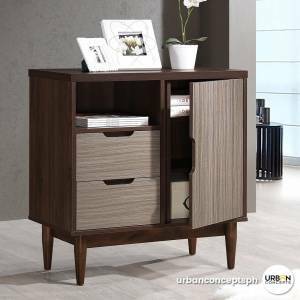 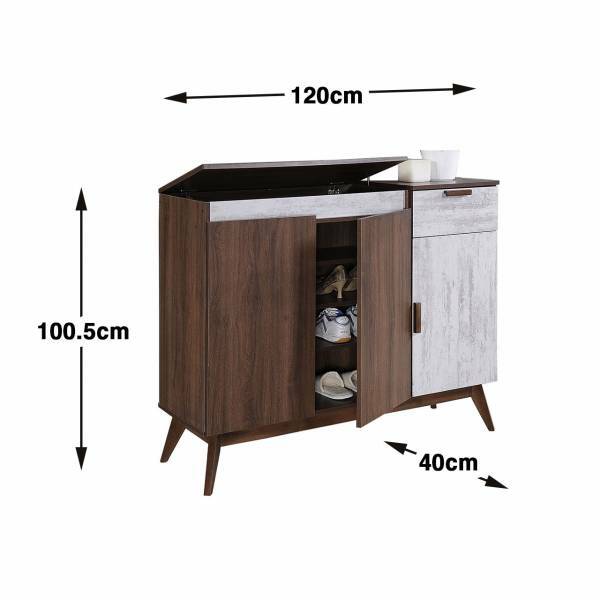 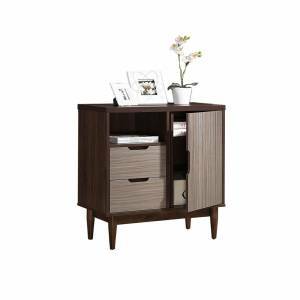 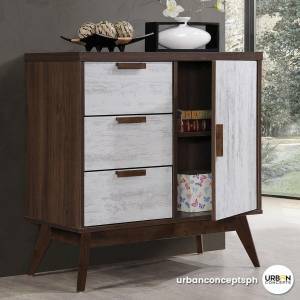 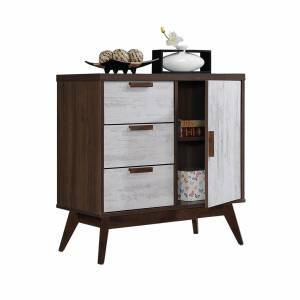 The Rasmund shoe cabinet is part of our Haley collection characterized by squarish sides and a boxy aesthetic, in full brown & white textured boards. 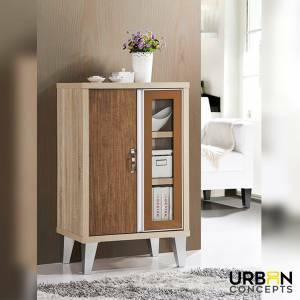 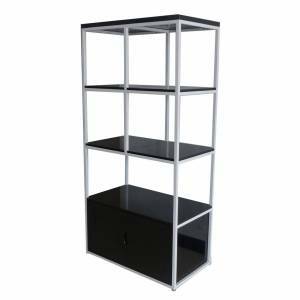 This shoe cabinet comes with 3 shelves, 1 cabinet and 1 drawer and a liftable top, to cater to more shoes or belongings. 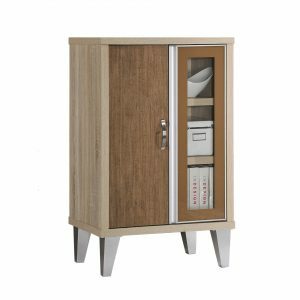 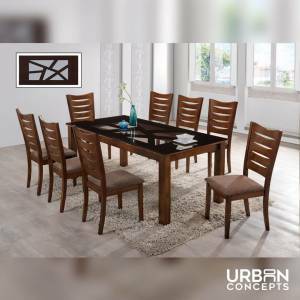 Who says you have to compromise functionality for style?